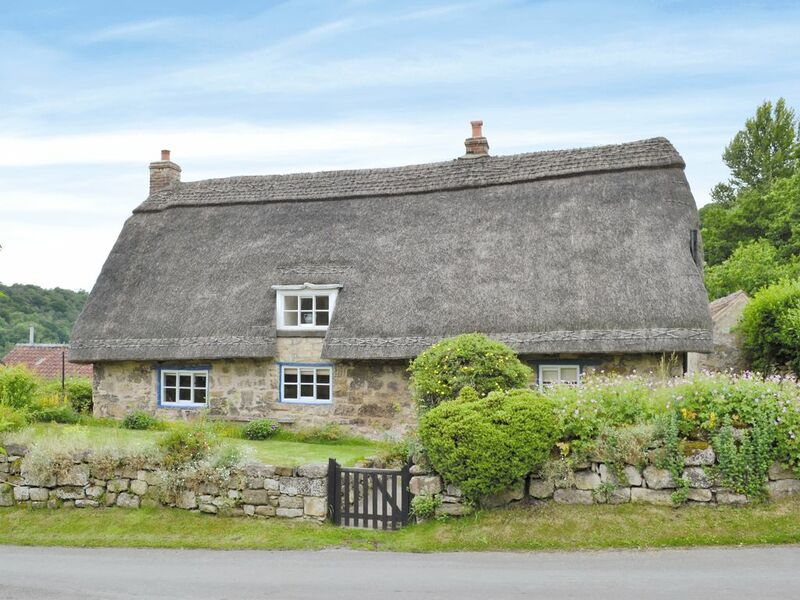 This beautiful 17th century detached thatched cottage overlooks Rievalux Abbey. Nestling in a beautiful secluded valley overlooking the magnificent ruins of Rievaulx Abbey, Swiss Cottage is a delightfully charming, 17th century, detached thatched cottage which is the oldest cottage in picturesque Rievaulx village. A truly enchanting cottage full of its own unique charm and character enhanced with attractive features and stunning views from the living room and the kitchen/dining room. The cottage is presented to a very good standard with quality furnishings, together with great care and attention to detail ensuring a relaxing stay at any time. Shop, pub and restaurant 2½ miles. Swiss Cottage can be booked together with Mill Cottage (UK2449) and Mill House (UK2088) to accommodate up to 14 guests. Kitchen/dining room: With electric range, microwave, fridge, freezer, dishwasher and washing machine. Oil central heating, electricity, bed linen, towels and Wi-Fi included. Cot and highchair available on request. Lawned garden. Rear terrace with garden furniture. Bike store. Private parking for 2 cars. No smoking. For UK2450 only - There are drops within the grounds of the property, care may be needed. There is a separate staircase to the twin bedroom, this room has a sloping ceiling take care. The property does not accept smokers. 2 dogs only accepted. Hairdryer at the property.